Since we’re nearing the end of the school year I’ve been recapping some letters with Sweet Pea as we learn new ones. Sweet Pea loved crinkling it and molding it into different shapes. We also tried to paint it and poked holes through it. Thinking of words that start with F led us to discussing how ‘ph’ can make the ‘F’ sound, so words like phone don’t start with an F, which of course thoroughly confused Sweet Pea! This also brought up the word Feelings, so we’ve been talking a lot about what others might feel when things happen, but that’s for another post! 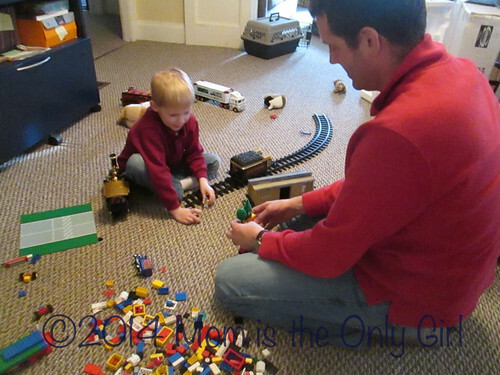 Yesterday I posted about a simple LEGO activity I engaged 5 year old Sweet Pea with last week. 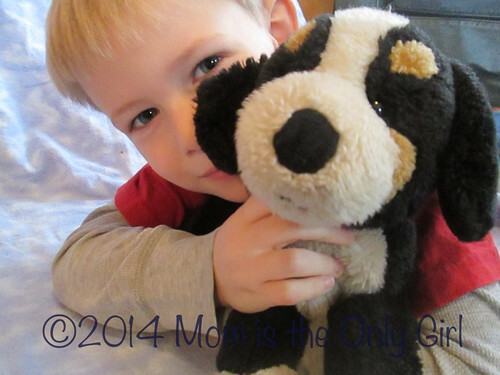 Today I’m sharing a few scavenger hunt ideas for the under 5 crowd. 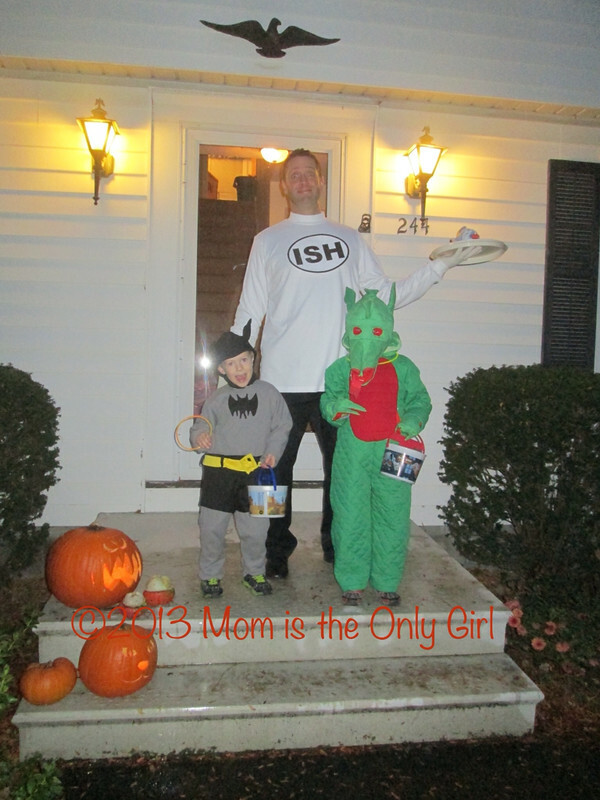 A couple of years ago a mom’s group mom put together a scavenger hunt for the under 5 crowd. It was basically finding certain spots along a paved path and stopping to place a sticker on that spot on the map. Then you followed the map to the next spot, which was the next spot along the path. It was very simple, yet exciting enough for the little ones. All of the clues as to where to stop were in rhyme and using a little pirate lingo. At the end was the treasure – pirate popcorn! This was so clever. I know I never could have thought of something like this on my own, so thought I’d share! I wish I had a picture! Like I said just a few ideas for you to pull out of your hat when you need one! There are seriously so many different things you can include in a scavenger hunt! 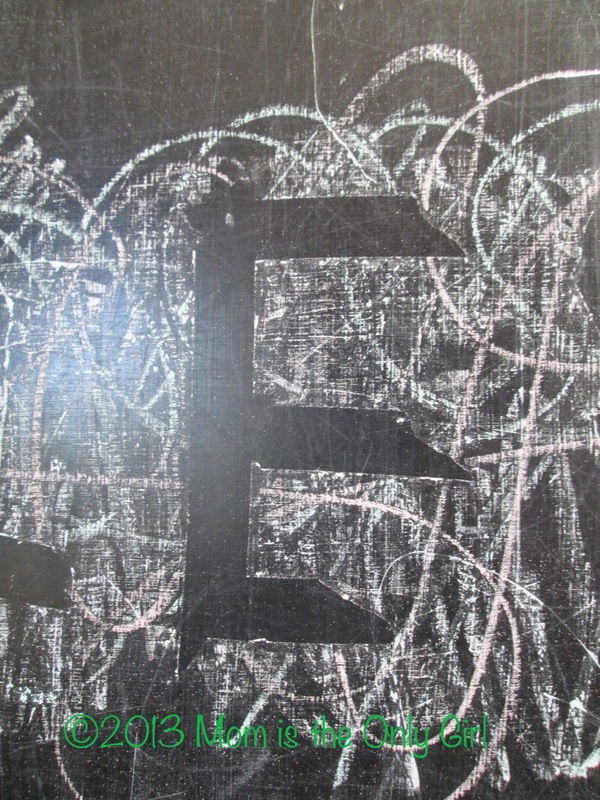 Have you ever watched your kiddos drawing on the chalkboard and all they do is scribble all over it and erase it over and over? Sweet Pea loves to do that! 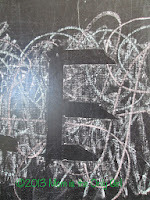 When Sweet Pea was once again scribbling all over the chalkboard making a dusty mess, I put some masking tape on it. He was totally confused at first, but once he helped me remove the tape after scribbling on it he was hooked! This was great and then he started to put the tape on himself, trying to make it in the shape of his name! 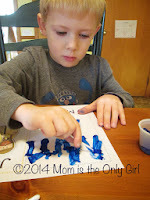 What a great activity for fine motor work as well as a little gross motor drawing! How fast does snow melt? You know how cold it’s been lately. That means the snow is still sticking around. Are you as tired of the cold as me? And if you are reading this from some nice warm place, please comment so we can all live vicariously through you! And hopefully we’ll see some green grass soon! Here’s a simple science experiment that you can do with any age – preschool up through mid-elementary would probably find it interesting and stay interested. Since we have lots of the white stuff I thought it might be fun to do a little science experiment with the boys one recent Saturday when it was bitterly cold. I grabbed 4 cups and filled them up with snow. I asked if they thought the freezer would keep the snow just as old as the outdoors, and what would happen to the snow if we put it in other locations, too. 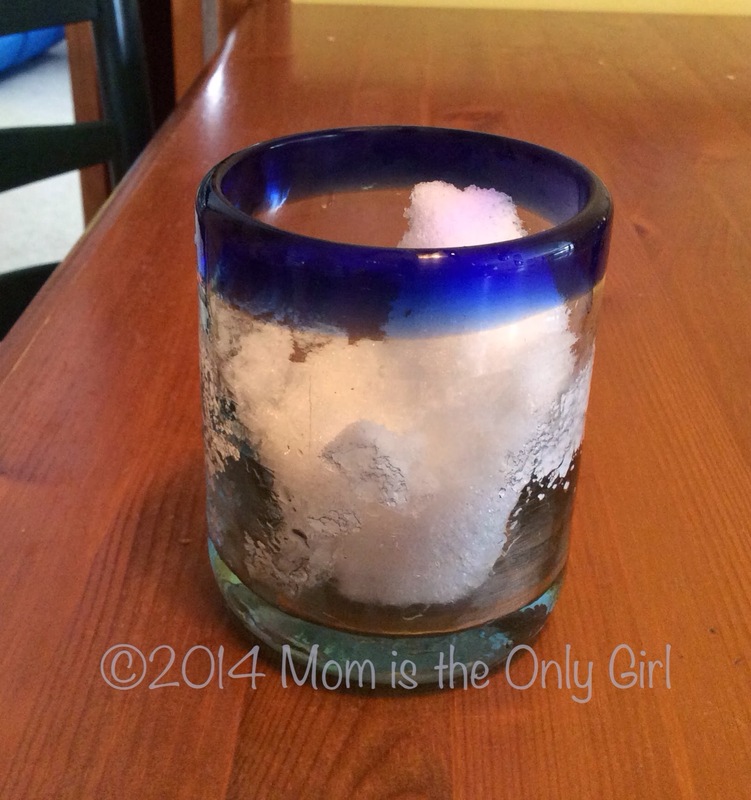 We set one cup on the table, put one in the refrigerator, put one in the freezer, and one outside after marking on the glass the level of the snow (using dry erase markers). The boys thought something would happen to the snow in the freezer, that it might not be cold enough. They thought the other cups would just have ‘melted snow’ in them after a few minutes. To test their hypothesis, we set a timer for 10 minutes. When it went off we checked the glasses of snow in each location and talked about what we observed, then set the timer for another 10 minutes. We continued the process until the evening, talking about our observations each time. The boys were surprised by what they saw happen with the snow in the freezer. Will the same happen for your kiddos when they do this little experiment? It was very simple, but kept the boys interest. They were determined nothing could keep the snow cold like the conditions outside. Sweet Pea has really liked this game lately. In the past he only played this with blocks that had X’s and O’s on. Lately, though, he’s getting better with his pencil grip, so has liked trying to make is letters just right! It’s a simple pencil and paper game, reinforcing the letters X and O, and takes fine motor coordination and lots of thinking through the process of playing the game! Dr. Seuss’ birthday is celebrated practically everywhere on mom blogs. It’s also celebrated in preschools and elementary schools. This pretty much sums up what I’ve heard about all last week from my kiddos, so it was hard not to extend this focus to some of the things we did here at home, too. Each night last week we read a different Dr. Seuss book. I had thought about making gloppity glop (flubber) after we read that, but sweet pea had a lot of playdough action last week and didn’t seem that interested, when normally he does, so we didn’t. 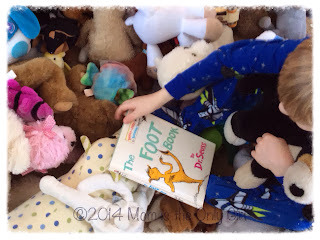 We read The Foot Book once at night and as always the boys loved it. I pulled it out again one morning and Sweet Pea and I did it ‘action style’. Meaning we found, or tried to find or act out, every kind of foot described in the book. It’s been a long time since he was this giddy doing something ‘educational’. Of course, he didn’t really see it as educational, so that was probably part of it! Did you do anything silly and fun for Dr. Seuss’ birthday at your house? What was it? My 5 year old is really getting tired of the bitter cold, having a cold and not being able to go outside and play. He loves the snow, so I decided to bring it inside for him. Now, I know this is not a novel idea, but it’s something I hadn’t thought of doing before. He was so tickled when I suggested it! 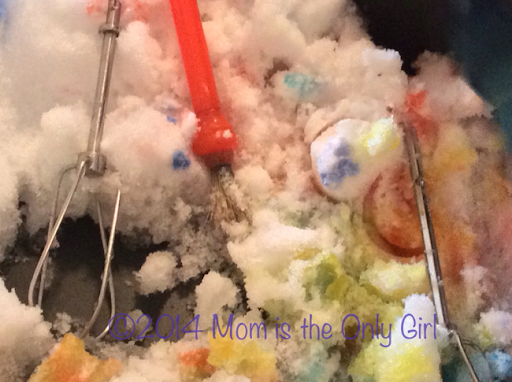 After playing with it with our hands, making little snowmen, we got out the watercolor paints, but Sweet Pea kept adding so much water everything melted pretty quickly and there were no pretty colors. So out came the food coloring and the medicine cups, along with the medicine droppers and a whole assortment of kitchen utensils! I simply put a drop of food coloring into a medicine cup of water and armed him with one or two utensils at a time. This made the snow last much longer and also made some pretty cool tie-dye-looking snow! We had so much fun! 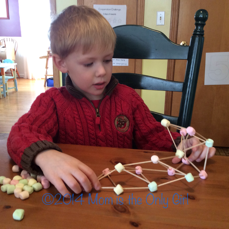 It was like a mini-sensory lesson with lots of coordination and color-talk involved! Happy Valentine’s Day! 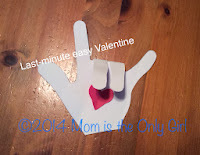 Just thought I’d share this really quick and easy Valentine’s note that you or your preschooler can do in a jiffy! I’m sure you haven’t forgotten to make all those cards for your kiddo’s classmates, but sometimes we all forget someone in our lives that could use one or who deserves a special one from your child. Sweet Pea’s preschool class has integrated simple sign language into their everyday learning. I thought this was perfect for Valentines for his classmates, and it took a very short time to make 20 of them! Cut as many small hearts out of construction paper as you need. 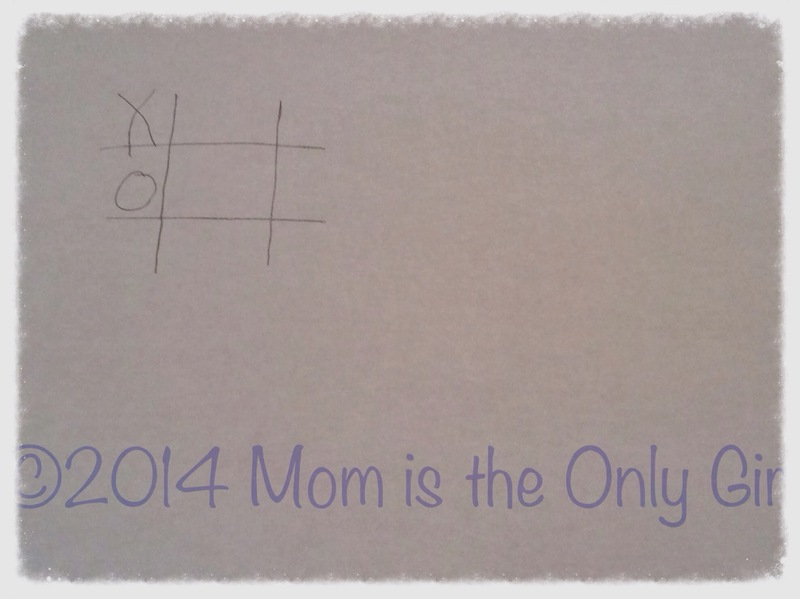 Trace your child’s hand (or yours if this is from you!) onto construction paper of a different color. Cut out the hand you just traced. Glue the heart onto the palm of the hand, then bend the middle and ring fingers down over the heart, forming ‘I love you’ in sign language. So simple, yet it can communicate so much! Sweet Pea: “An animal. Now I’m going to eat my creation. No it’s not a tunnel. It’s a slingshot.” He proceeds to eat a marshmallow, then decides to eat a marshmallow off the end of a toothpick. Some days I use our little morning snack time to sneak a peak at e-mail or check Facebook, not that anyone ever sends me e-mails during the day or there is anything earth shattering on Facebook that I have to see. It sort of makes me feel connected to other adults during the day, even though I’m not. Today, however, I sat with my iPad, intentionally ready to listen to him instead. I had planned to type out everything he said, because it dawned on me the other day that snack time is the time his talk is truly free, not rambling about his LEGO project plans or what his lovey plans to do when it’s done flying through the air. When he’s just talking more to himself than anything. Snack time is when he’s trying to make conversation while we just sit together. I love that I listened to the imaginings of his mind yesterday. The creative thought process his mind goes through is so cool! I think e-mail and Facebook will probably not go away while I listen to my boy again today. The other day I made a special afternoon treat of chocolate chip cookies. 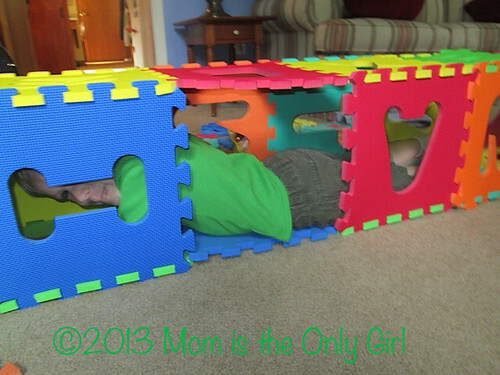 When the timer went off the boys both came running into the kitchen with their high pitched screams of excitement…and Hubby retreated to his den! To say the excitement-noise in this house is sometimes overwhelming is an understatement. What to do? I quickly told the boys they couldn’t have their treat until they listened really well to me and did exactly what I asked. Then I proceeded to send them running around our ‘loop’ 3 times. When they were done with that, and obviously still had waaaaaay too much energy, I sent them hopping around for 2 laps…then skipping for 3…then galloping…you get the picture. Twenty minutes later the cookies were cooled off and the boys were ready to sit down and enjoy their snack. Hubby was also ready to come out of his den hoping it would be a bit quieter! And the boys seemed to be listening better! This is the perfect picture of a listening game. Calling out instructions (or whispering them when you really need to get their attention) and their following them. Play the old telephone game, speaking into cups strung together with yarn that is held taut from ear to mouth. Can you understand what is being said? Drawing Instructions game – one person describes an object to another while the other tries to draw it on paper. This is a good one for all ages, don’t think it’s just for older kiddos! What sort of listening games do you play with your kids? Four year old Sweet Pea is getting pretty good at writing his letters, when he’s in the mood. 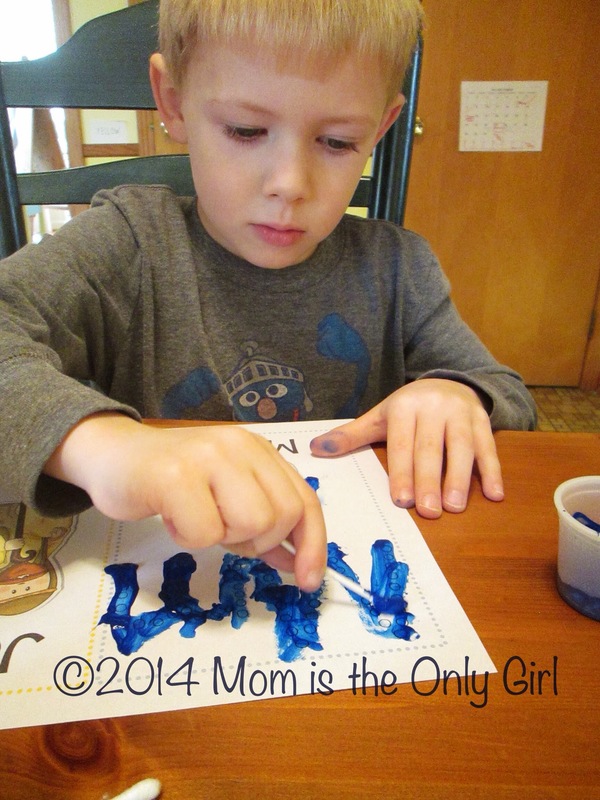 Sometimes he likes to paint them with a brush or write them inside a bubble letter I made for him. 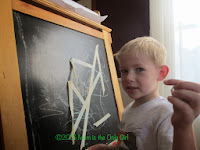 Sometimes he also likes me to draw small circles, then take a q-tip with paint and dot the letter! We all know what it’s like when you are trying to prepare dinner or work with your older child on their homework and you just have to find a quick activity to keep your younger one occupied. Or if you are simply trying to work with your child helping them to remember how to write their letters! Sometimes you just need a quick and easy activity! I found this to be great at giving me a few minutes, and it doesn’t get too messy for us, either. Bonus that it’s something I can whip up quickly and set aside for when I need those few minutes! When you talk with your child are you really just talking to them? Are you engaging them in conversation? Giving them time to answer questions, to respond to what you are saying? Are you giving them enough time to interject with their own comments? Are you listening to their answers? Or are you planning what you want to say next? I read a story recently where a parent was stopped in their tracks when their child said they never spoke, because they were never listened to. It truly saddened my heart. It made me stop, mentally, and think about my interactions with my boys. This large question about how you talk with your child isn’t to point fingers at you or me. It is just something that made me stop and re-evaluate my interactions with my children and I thought if it had that much impact on me maybe others could use a little gentle nudge, too. Do I kneel down and look at my boys when they speak with me or me with them? Do I have an open heart and open ears to hear what they are sharing with me? Do I truly take the time to listen to them – watching their body language, where their gaze is leading me? Am I seeing life from their perspective or just dismissing their opinions (or fears or questions) because they are little boys? 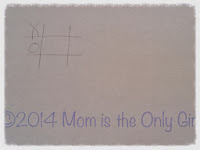 With the new year just beginning, I’m going to try to pay attention when I am talking with my children. This is just one of my goals. My boys are talkers. And I want to talk with them as they grow. 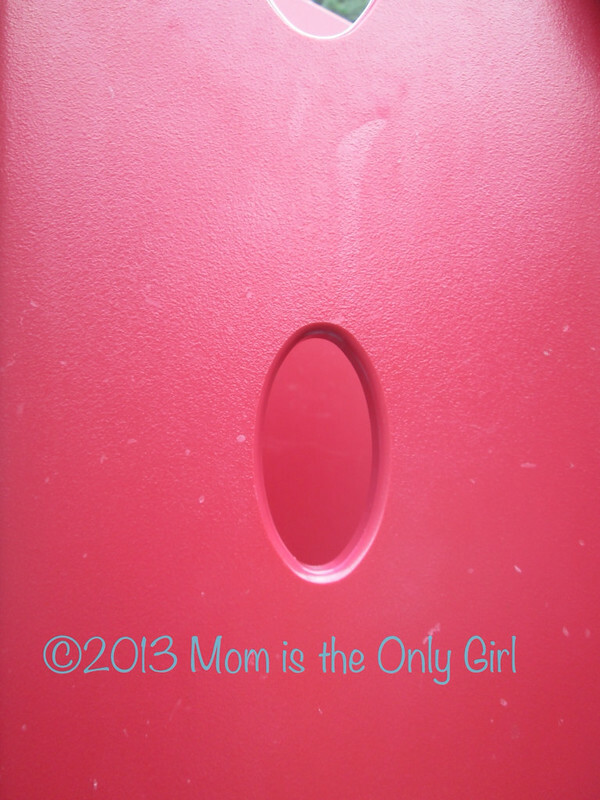 What is it like when you talk with your child? 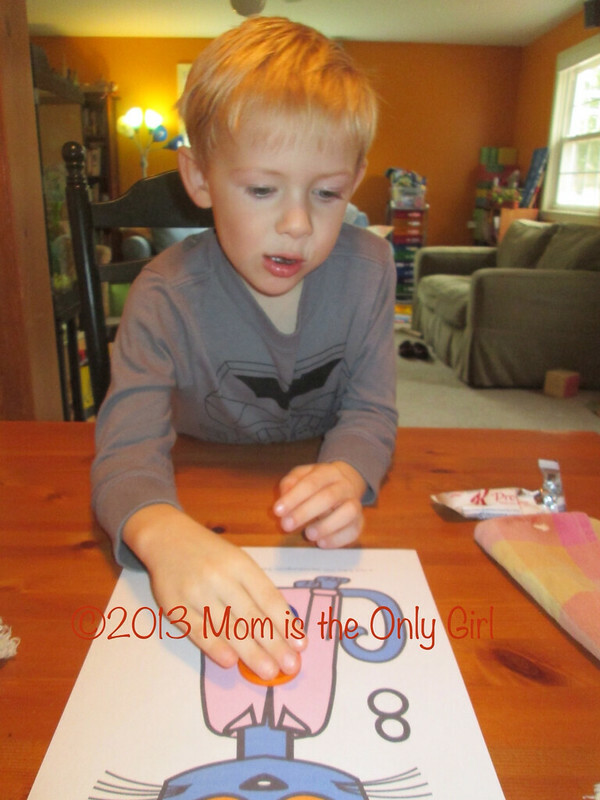 As you know, Sweet Pea has been learning his letters at home and at preschool for a while now. 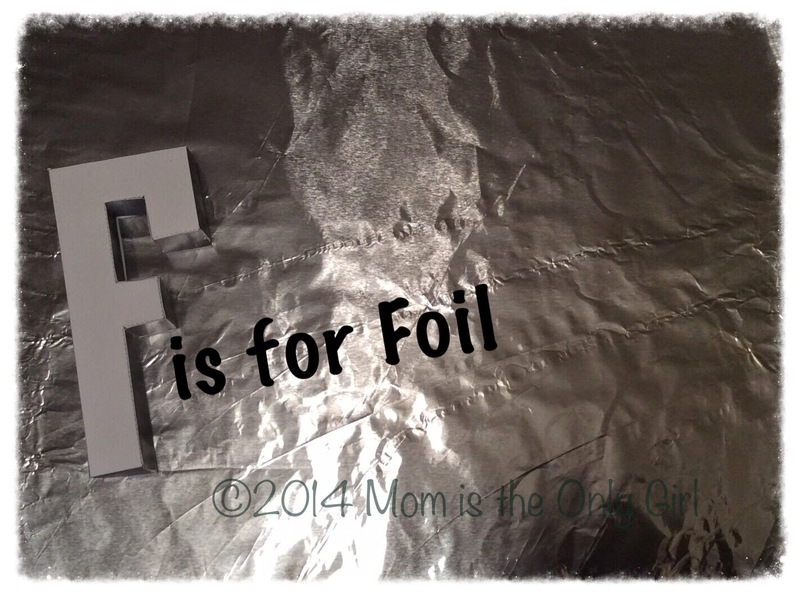 I thought it would be fun to share a few ways we’ve been playing with the magnetic letters everyone seems to have accumulated on their refrigerators! 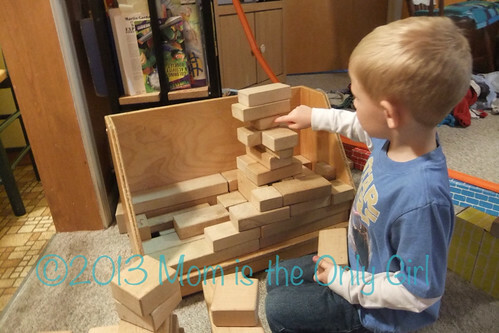 An educational spin on some indoor fun activities! Simply let children play with the letters. They don’t need to be spelling or reading anything. Playing and touching them helps them learn how they look! 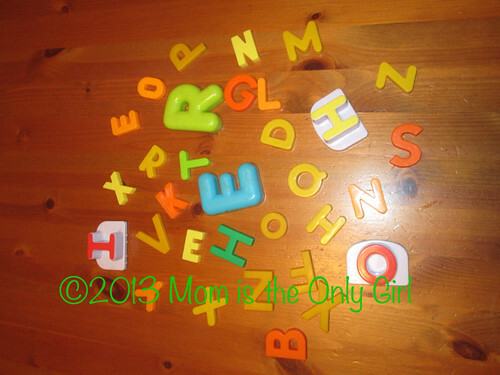 If you have multiples of the same letter, play a matching game! Make names! Spell their name for them…they’ll need to know it because they’ll be using it the rest of their lives! They need to see it! ~You can move on to writing their names on a piece of paper and having them put the letters in order spelling their name. ~If they are at this stage you can then give them more letters than are in their name and see if they can pull the letters of their name out! 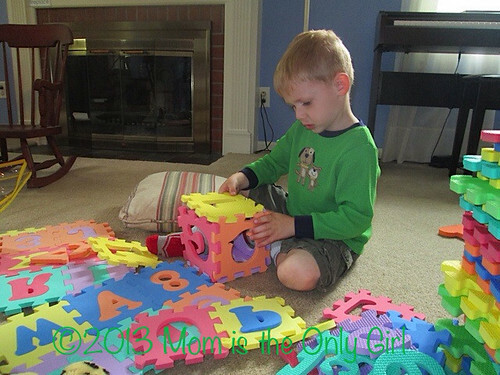 What ways do you play with magnetic letters with your kiddos? The Weather here hasn’t been very play-outdoor friendly lately and Sweet Pea is going a little bonkers being inside. 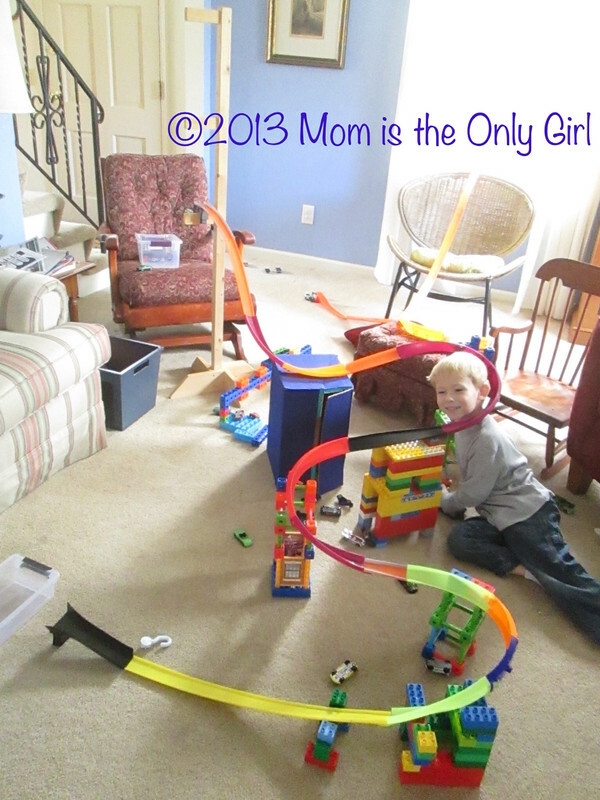 We’ve been going to the area attractions, but some days it’s just nice to stay home and play. Unfortunately, we’ve been doing a lot of that, too! So what does this mother do with a bored little 5 year old? We have a lovey photo shoot! So easy for you to pull together, too! At first, Sweet Pea did not like this idea, but after he saw me putting up a blanket and taking a picture or two of his favorite lovey he was all in! This activity actually proved to be more gross motor than I expected. I have no idea how many trips Sweet Pea took up and down the stairs, but he didn’t grab a whole bunch of lovies each trip like I expected him to! And putting the tired lovies back up to his bed for a nap was even more of a production with some trips up and down because, evidently, some of them could not fall asleep right away! So easy, right? The next day we’re stuck inside we’ll be putting together a photo album, at Sweet Pea’s request. 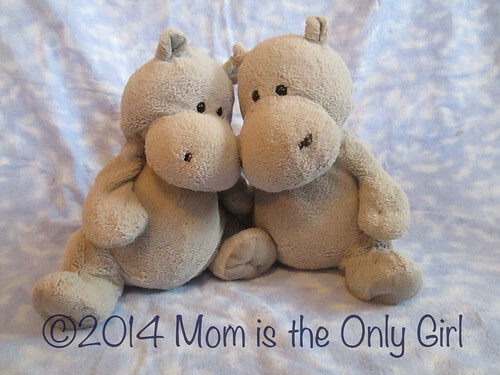 This will also be a great keepsake, and a great resource for this Mom and Dad who can never remember the lovey’s names! Have you been affected by this bitter cold and snowy weather? Are your kids going bonkers being stuck inside like mine? 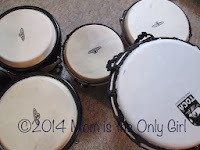 This was so fun and so simple to throw together the first time, that it naturally came to mind as a go-to game for when we were stuck inside due to extremely cold temperatures this past week. It also ended up being played when I least expected it, so I didn’t have my camera ready. I then looked through my cupboards and drawers for a few items to put into the containers. I came up with coins, LEGOs, marshmallows, marbles, hot cocoa powder, popcorn kernels and a screw. I simply placed everything on a tray along with a pencil and when they started bickering after being stuck in the house for a bit I asked it they wanted to see what I had set out for them. Attitudes changed pretty I quickly then! One by one they took turns shaking the containers and telling me what they thought was inside after we counted how many containers we had. I didn’t give them any hints, but simply wrote down what they thought. I wrote their guesses in their respective columns. Then we opened the containers and discovered what was inside! The boys really had fun talking about what each item sounded like to them and mentioned it was helpful for some to be able to shake them themselves rather than just listen. Sometimes they were really surprised it wasn’t what they guessed. Other times they were right, but maybe for reasons other than what they said. This activity didn’t take very long to prepare and was over in about 15 minutes or less, but did a great job switching gears in our house when things started getting old. 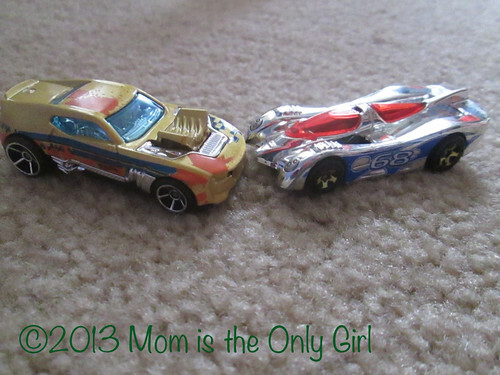 I found the boys had a renewed interest in playing together after this, too! Try it on the next day you are stuck inside due to rain, snow, or too-cold temperatures and let me know what your kids thought! 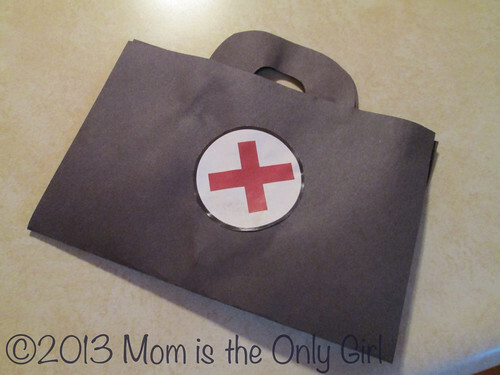 Sweet Pea’s preschool made the cutest little doctor kits when they were learning the letter D! I just had to share! You’ll need black, white and red construction paper, glue, scissors and rather flat doctor kit items like gauze, bandages, tongue depressors and the like. First, take a piece of black construction paper, fold it in half. Then outline two bubble letter Ds and cut them out. Glue this to the edge of the construction paper, so it looks like the top of a briefcase with a handle. This is good practice for cutting skills for those who can use scissors! 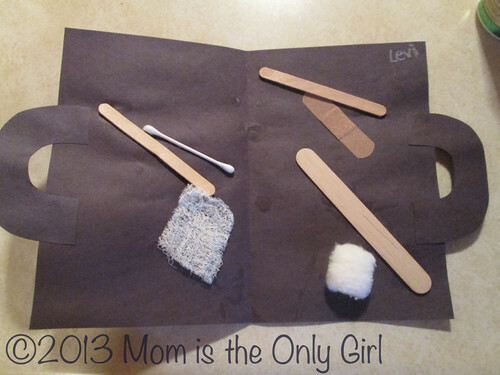 Next, lay out bandages, tongue depressors and gauze for the children to adhere to the inside of their doctor’s kit! Great fine motor work! Don’t forget to cut out red crosses for the kiddos to adhere to the front of the kits! More scissor work! This is also a very cute way to talk about how doctors can help us, too! I love the magnetic tile words. I can’t help but move them around and make sentences whenever I see them! Evidently, Sweet Pea follows in my footsteps! On a recent visit to the library a door was closed that usually isn’t. Sweet Pea discovered the word magnets on the reverse side for the first time. Even though he can’t read, he started moving them around, then asked me what each said. It was very fun standing nearby listening to him jibber-jabber. Sometimes he’d point out a letter he knew. Sometimes he’d remember what some of the words were and try to place them where he thought they made sense. Mostly, though, Sweet Pea had fun just lining up the words and asking me to read the nonsense sentences he made. 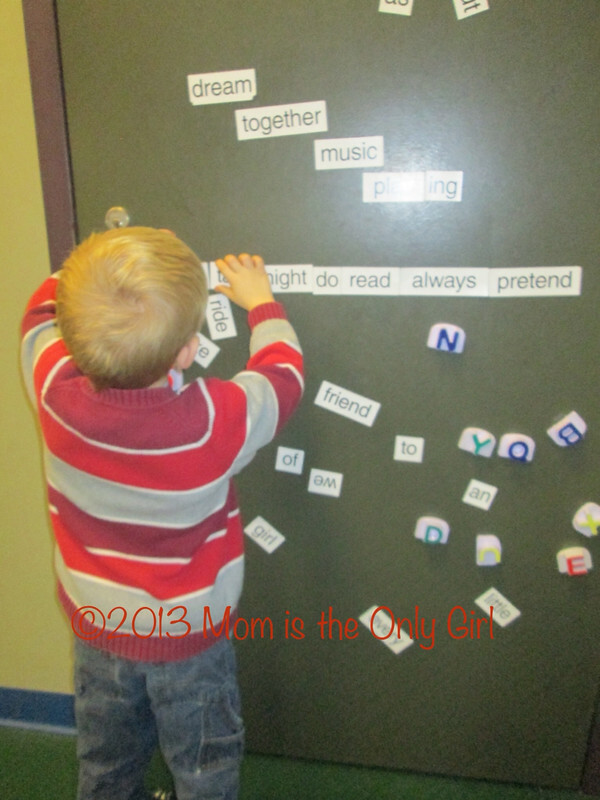 I love when my boys explore the written word this way. (pre-reading) There are no expectations. I can be as involved or not as involved as I want, or as they want. As a parent, it is so easy to just take over and read for them, or talk and talk about the alphabet and the words that can be made from the letters. 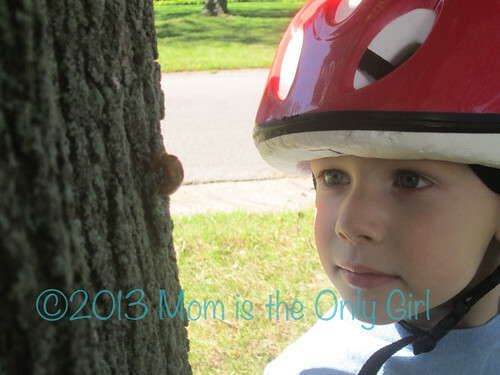 Sometimes we can discover so much more about our children if we just stand back and observe. Our village has a trick or treat trail and its not to be missed! 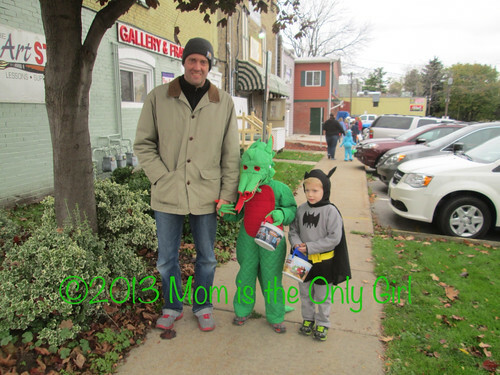 Our handmade dragon costume was worn by Cutie Pie’s uncle when he was little, and (handmade) Batman was worn by Hubby when he was in Kindergarten (we think he was that age…) They now reside in our costume/pretend play box! I love that Hubby’s mom saved these all these years so our kiddos can enjoy them! 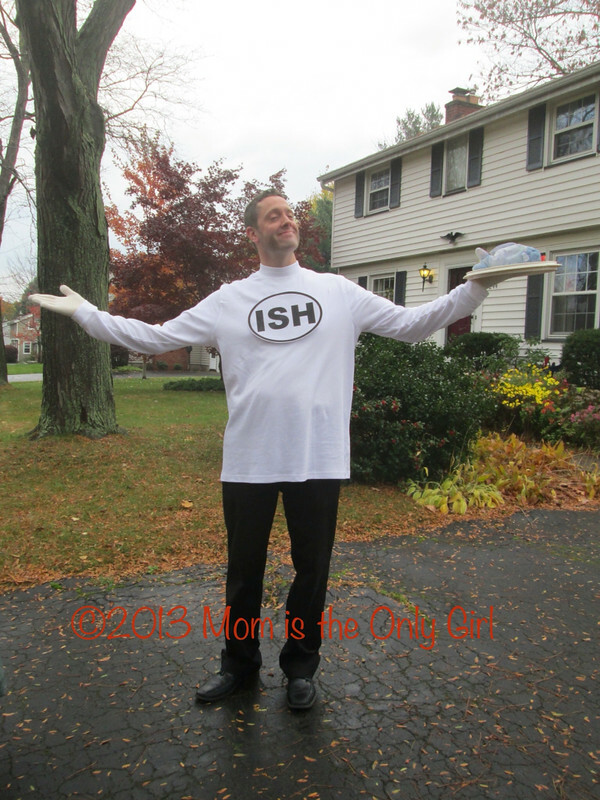 And Hubby was a hit at school in his Dr. Seuss character costume and even had his lines memorized! he was flabbergasted by the amount of students and teachers alike who had no idea who he was! 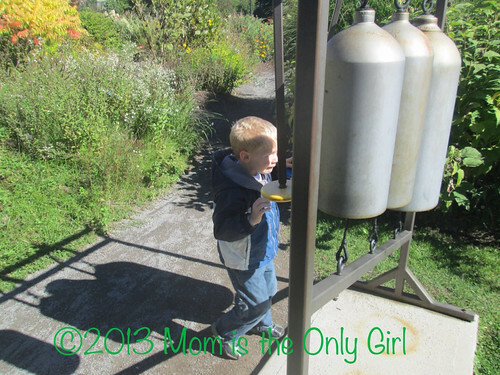 I always try to engage 4 year old Sweet Pea in activities which include his interests. Sometimes I totally get it wrong, but this time I hit the nail on the head! Sweet Pea loves Pete the Cat! His 3 year old preschool class had the book Pete the Cat and His Four Groovy Buttons memorized and he still knows it by heart! 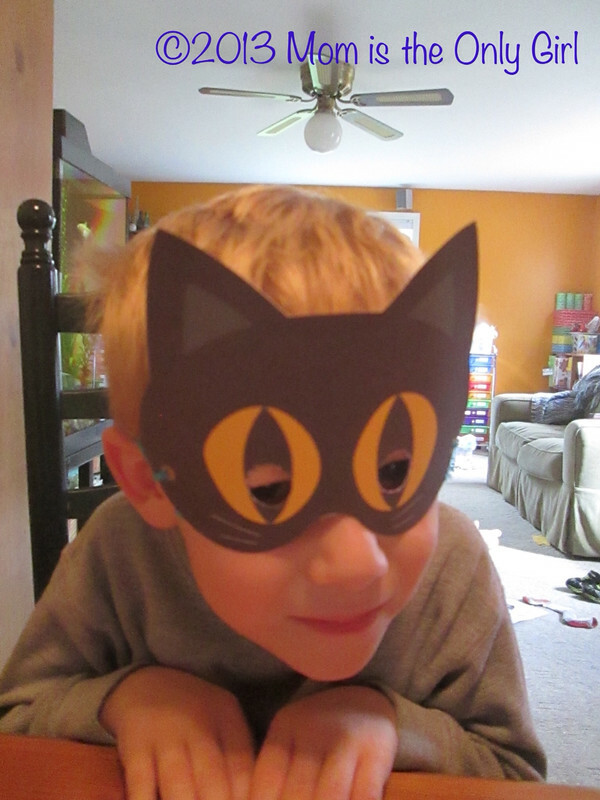 I thought finding an activity to help reinforce learning the letter C and centered on Pete the Cat would be just the thing for a recent cold, wet day. While Sweet Pea and I listened to the story, you can listen to a few books and songs here, he put the correct number of buttons on Pete’s shirt. After doing that several times we sorted the buttons by color, placing them on the coordinating shirt. Sweet Pea also noticed the numbers on the printouts and decided to count out the proper number of buttons and place those on the shirts, too! 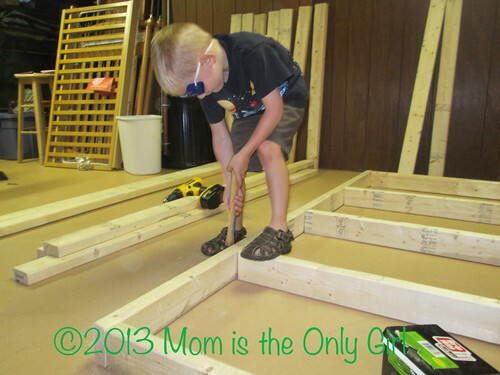 I love finding an activity that totally pulls my boys in! (Like doing something to do with cats!) 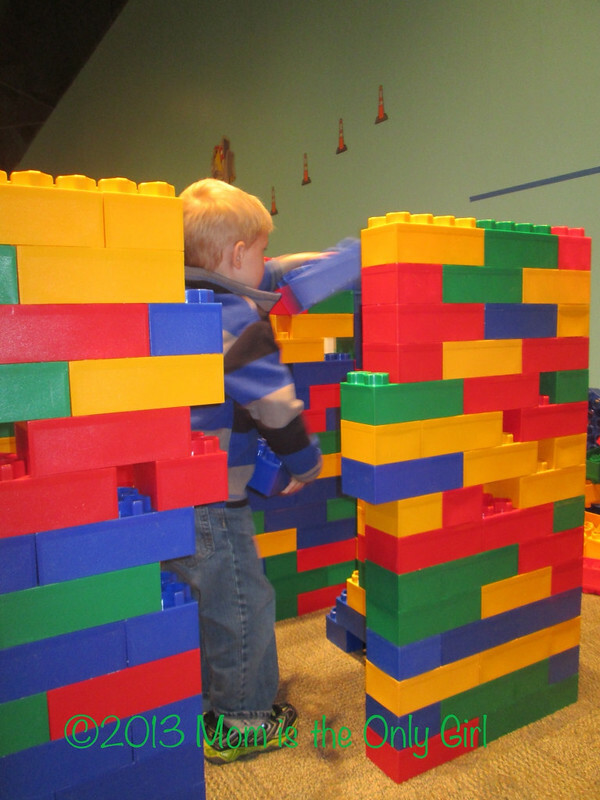 What activities have you found lately that have totally engaged your preschooler? Sweet Pea loves cats! (At least the stuffed kind!) He has a little lovie he calls Kitty Goes and he’s excellent at making this little cat act real! We also talked about animals that are similar to cats as well as other animals we know that are in the cat family. Sweet Pea keeps telling me he wants to be an animal rescuer, so he really loved learning about one of his favorite animals! And you can’t forget the Pete the Cat books we read! Sweet Pea has Pete the Cat’s Four Groovy Buttons memorized! 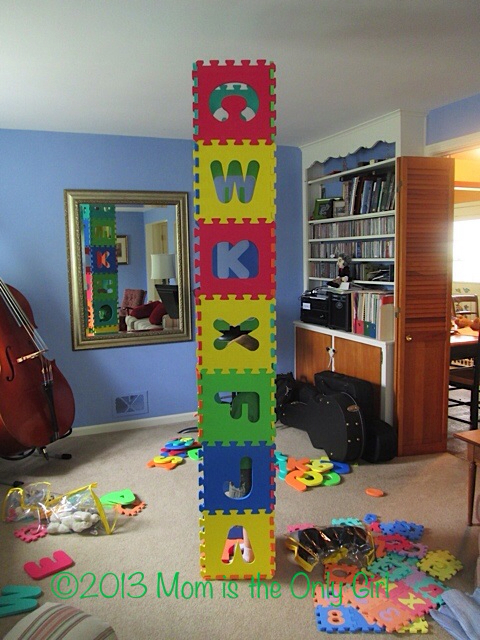 For more ideas to reinforce your preschooler’s learning the letter C, head here! This post contains a link to Amazon, which may result in my being compensated for any purchase being made at no additional cost to you. 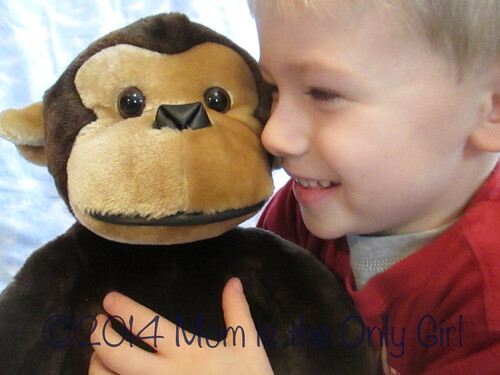 I only link to products my children and I absolutely love! Car. Carrot. Call. Cry. Cousins. Cotton. Crayon. Cup. Curb. Caterpillar. Carpet. Crust. Coconut. Christ. What do these words all have in common? You bet, the letter C! It was an easy question for Sweet Pea, too. Some days that little 4 year old seems really smart to me! Sweet Pea’s preschool class covered the letter C by reading The Very Hungry Caterpillar, by Eric . Their craft for this story was making caterpillar necklaces out of red and green pasta, and enjoying a bit of patterning while they made them. At home Sweet Pea and I spent lots of time making the hard C sound and listing lots of words starting with C. This has become sort of a game to him and I find we do this quite often throughout the week for letters we have learned. Some times I find him sitting at the table looking at the 3D letters we have taped to the wall and hear him whispering the ABCs. What’s not to love about that?! He seemed to have a pretty good grasp on this letter, so I got out the cars and we had a lot of fun with them! We even made a letter C out of his car tracks! For more letter C ideas head here for other fun we’ve had learning the letter C! This Seeing DNA experiment is rather simple, but very interesting and can easily be combined with a lesson on how we are all unique, Psalm 139 or the letter D! Check out We Are Unique to see how! First, make sure an adult is helping you. Then either you or the adult can finely chop up your onion with a sharp knife and place the pieces in a bowl. Pour in just enough dishwashing liquid to coat the onion pieces and stir. Add 1/2 teaspoon of salt and carefully pour in two tablespoons of water trying not to make any foamy bubbles. Stir again, trying not to make any bubbles. Let this mixture sit still for 10 minutes. Stir the mixture gently again, then place it in a sieve over a bowl. Pour the liquid that escaped into a glass jar, removing any foam with a spoon. Carefully trickle rubbing alcohol into the jar, letting it run down the side of the jar so no more bubbles are made. This will make a second layer of liquid in the jar. Do not stir! Set your timer for 20 minutes this time. At the end of 20 minutes or so you should see a white, stringy substance in the top layer. This is the onion’s DNA! What’s going on? 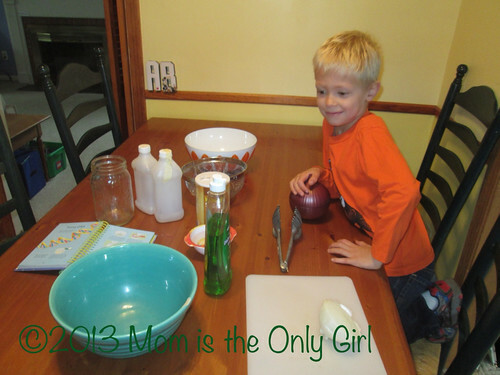 DNA does not break down in the dishwashing liquid and salt like the rest of the onion does. DNA doesn’t dissolve in alcohol, so it appears as the solid white strings! This post contains an affiliate link for an Usborne book. I may or may not be compensated for your following or purchasing an item through the link. I am linking to this item because my family and I like it, not because I am being compensated in any way. So much fun reinforcing the letter B through different play experiences! And playing with our giant ball in the back yard! Sweet Pea went around all week being amazed at words he said that begin with B! 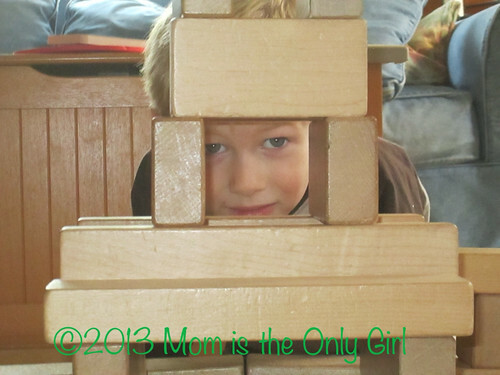 It was almost like a puzzle to him all week – he loved it! I don’t know about how it is where you live, but sometimes when the weather gets cooler around here we find bugs in our home. Bugs like beetles and bees. It seemed sort of fitting that this happened during the week Sweet Pea was learning all about the letter B! And why not turn this into a science lesson rather than get all squeamed out! The boys were really excited to investigate the beetle they discovered wandering around our Rumpus Room floor and wanted to know what kind it was. We talked about what it looked like – what color, how big, how many legs. As well as what things we thought it could do – climb because of prickly looking legs, crawl! After a quick search I found this neat site that helps identify insects. It was neat being able to read about this beetle right away and discovering their observations were correct! 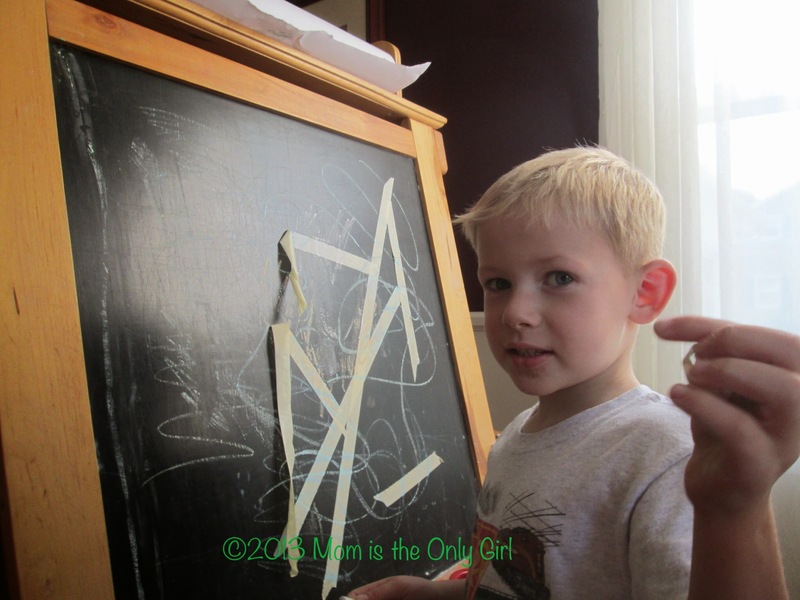 Sweet Pea learned all about the letter B in preschool, so I extended his learning at home! Books we read: Belly Button Book by Sandra Boynton, 1001 Bugs to Spot by Emma Helbrough, Explore Bugs by Maurice Pledger. I also found some paper 3D letters on Mr. Printables. They are a bit tricky to assemble (read: not for kids to make), but 4 year old Sweet Pea loved touching it and making it dance. I think it being 3D so he could handle it and physically touch it all over helped him really ‘feel’ that it was the letter B. To extend this a little further I had him think of things that started with B and we found some of those items around the house. Since we had a ton of buttons, and buttons starts with the letter B, he decided to cover his letter with buttons. This was great fine motor work for him! 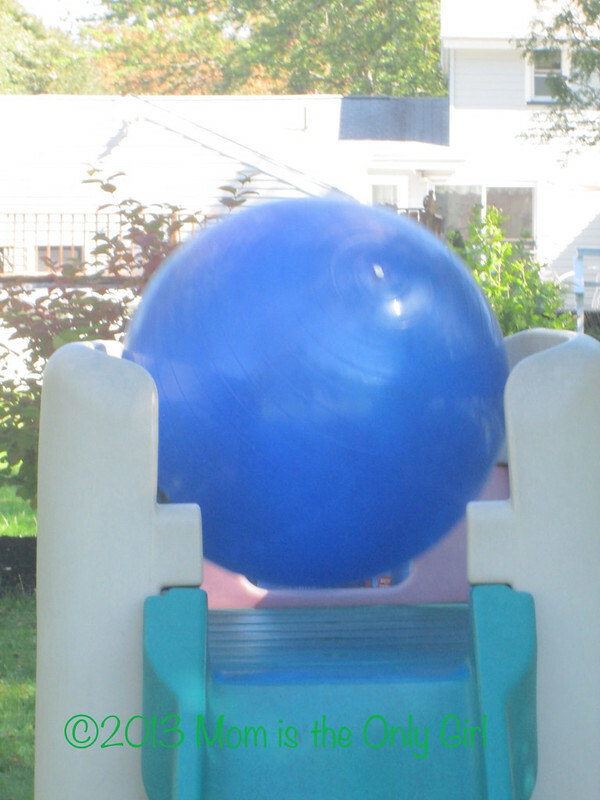 Of course, the weather was still nice so we spent time outside…playing with a big, big ball! This post contains an affiliate link to products my children and I love. I may or may not receive benefits from your following the links. One recent Sunday one of the teens in our church handed me pumpkins for the boys. Attached to one was a note “This pumpkin made me smile because it is unique. Unique means something is special, God made each of us special and loves us very much!” I just couldn’t believe what I read! See, on that Friday Cutie Pie was home from school, so I decided to pull out an experiment that he has repeatedly requested. We folllowed the steps to see DNA of an onion. (I’ll post more about the experiment in a day or so.) During a pause in the experiment (we had to set a timer for 10 minutes) we talked about how everyone has DNA and how it helps us to all be unique in many, many ways. A while ago I came across Dare 2 Share and remembered reading a devotional there about Psalm 139. I read Psalm 139 aloud to the boys, stressing the words fearfully and wonderfully made. I shared that it is believed fearfully means “with great reverence and heart-felt interest and respect” and wonderfully means “unique, set apart, uniquely marvelous” and that these words described us! (I tried my best to explain these ideas in their words. These definitions were taken from Time to Read Your Bible by John Fullard as how they were meant in the original Hebrew.) They really liked that idea and when they could see the onion’s DNA at the end of the experiment they seemed to ‘get’ that even though it’s a sort of nondescript sort of thing, that it is special, just like our DNA is, which means we are unique! Back to that Sunday, when I got into the car with the pumpkins and read the note attached to the pumpkin the boys thought it was cool. When I reminded them of the verse from the Friday before they thought it was really cool! That night we read the book On the Night You Were Born by Nancy Tillman. And we watched the video Spoon, adapted from a book by Amy Krouse Rosenthal. They just seemed to fit into the whole weekend just perfectly! This post contains affiliate links. 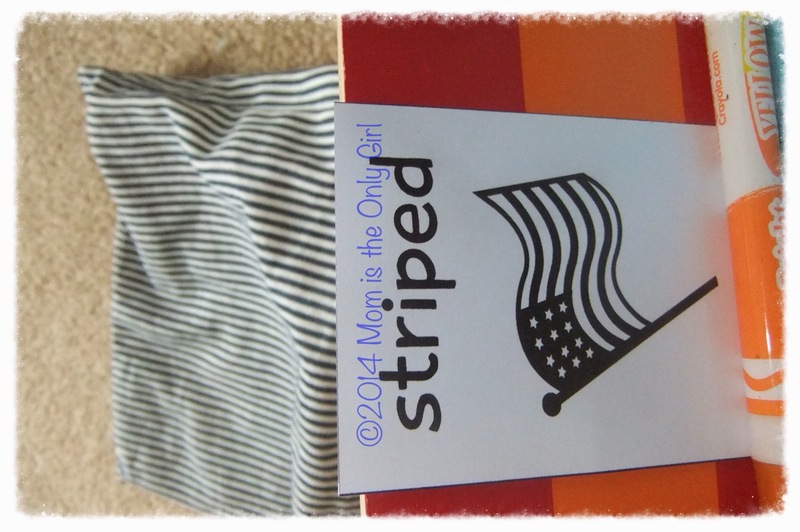 I only link to these items as my children and I very much liked these items. I may or may not receive benefits from your checking out these links. Sometimes it’s just fun to play with the alphabet letters and not use them as an overt learning tool. it’s always fun to see how tall a tower you can make with them! Or use them as supports for a fort! Have you ever gone on a tangible letter search? It’s sort of like Hidden Objects, but in real life rather than on paper and with a much larger area to search in! Sometimes when we visit parks we play this, mostly with the child least entertained by the park. Tangible letter searches are very simple and involve no preparation! Simply look around at the equipment, benches, fences and whatever else is at the park and search for letters of the alphabet! Can you see the letter P? Its part of the railing. What about all of the Os? And you can play with numbers, too. See the 0? There are several on the wall by the steps! I usually find myself playing this with Cutie Pie when Sweet Pea has a lot of energy to burn long after Cutie Pie is ready to leave, but recently found Sweet Pea getting excited about seeing and touching letters on a recent trip to our favorite park without Cutie Pie! As an introduction to letters for some of the younger set you can point out letters that have been formed and trace them! The large size of the letters seems to capture their attention and makes a great ‘aha’ moment to witness! After your little apple investigation you can paint with apples! You’ll need a paper covered work area (trust me, I should have done this step! 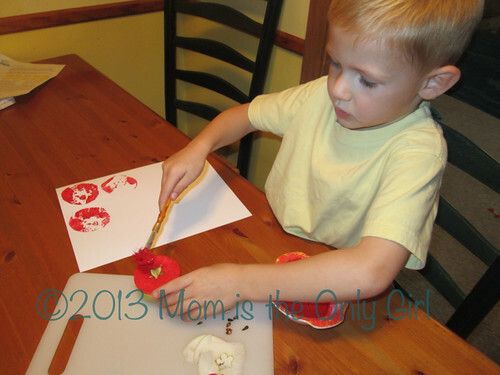 ), paint brush, paint, paper and an apple for this activity. Take the apple and a paint brush, and coat the apple with red paint (or color of your choosing). Lay the apple paint side down on some paper, like you do with a stamp. 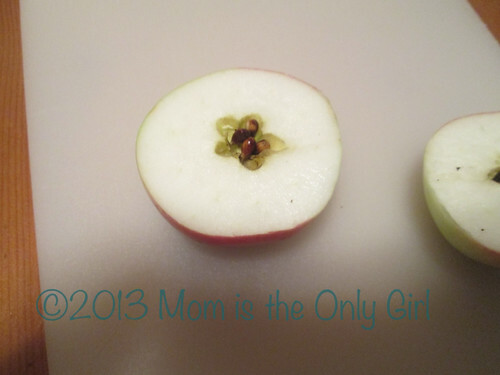 You’ll get a pretty star design if the slice across the apple you made was flat! If not you can have another great little investigative discussion! I found a large knife to work better at making a flat slice than a smaller one. Just be careful around your little one with the knife and make sure to put it where they can’t get to it when you’re done! 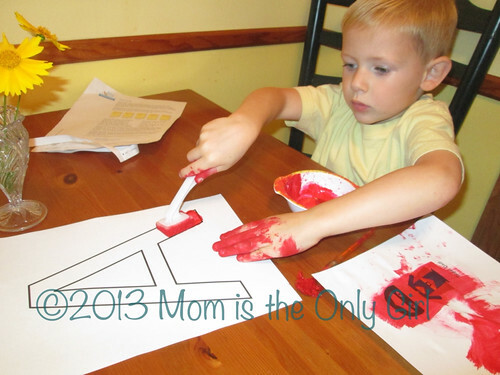 Since we had the red paint out I quickly printed out a large letter A and laid it on the table, hoping he’d paint it. He remembered it from preschool the day before and set to work painting it! My 4 year old loved this more than I thought he would! 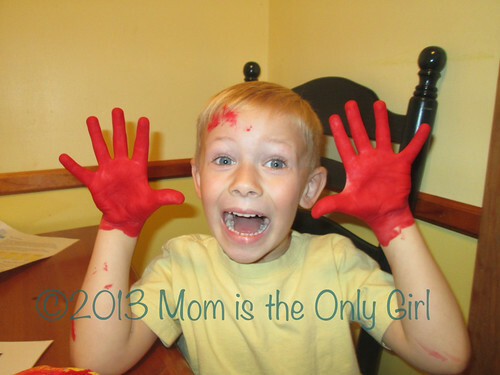 Of course he ended up with hands covered in red paint, but he had used his brush and painted them very well! 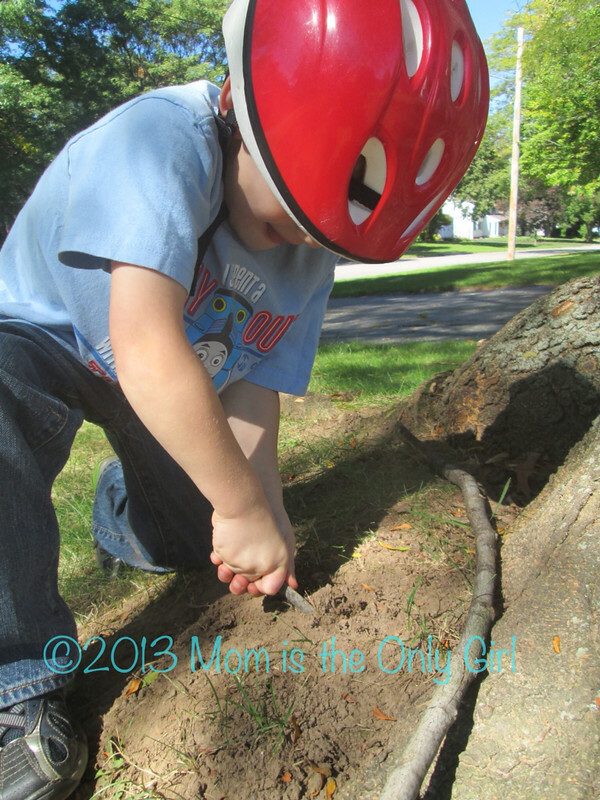 What A is for Apple activities have you been doing with your little ones this fall? In the spirit of fall and wanting to get back into more learning activities with Sweet Pea (like I did with Cutie Pie at this age) we took a little trip to the apple store and did some fun ‘A is for apple’ letter activities! After talking about the possibilities of why apples are sometimes red, sometimes green and sometimes both red and green, we picked out some that we thought would taste yummy! We plan to make apple crisp with some and eat the others! We also did a little investigation with one. First, set out the apple. Touch it. Talk about what it feels like -soft, hard, smooth, bumpy. How did it get to the store? Talk about why it has a peel. What does the inside look like? How can you open it to find out? Don’t worry if you don’t know the answers to the questions raised. Take the opportunity to look up the answer together, or give the question back to them and ask what they think! Then, slice the apple around it’s diameter instead of through it stem-wise. What shape do you see? What can you do with what you find? 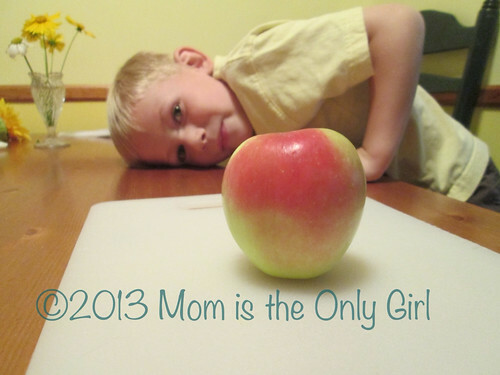 Tomorrow I’ll share what we did with the apple after we investigated it! Sometimes I find myself pouring over blogs or Pinterest overwhelmed with great ideas for the boys and know I will never be able to do them, or feel badly because I am not creative enough to come up with ideas like the ones I see, let alone have the time to even think about doing them to the same level as what I see. Sometimes I get so caught up in making things for the boys to do and learn from, and when I do find the time to make something pretty cool the boys destroy it within minutes or don’t play with it as it was designed. Lately I’ve decided to take a break from the making and being creative and trying to teach my boys something with every free moment I have in which they want my undivided attention, and just go outside and see what they want to do. Often they ride bikes or scooters, try to shoot baskets or play catch. Other times they pick up a stick and dig in the dirt or gravel pit. ‘Old fashioned play’ I find myself calling it. Nothing fancy, just like the way I used to play as a girl. All of the creative learning and play ideas out there are great, don’t get me wrong. 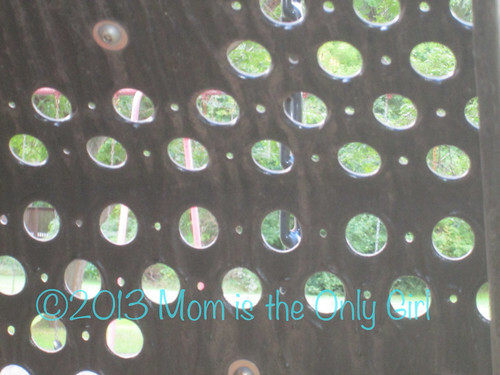 I just wanted to remind other moms who feel they are maybe falling short, that there is nothing wrong with good old fashioned play! The other morning 4 year old Sweet Pea and I found a cicada exoskeleton and he got curious. All on his own he closely examined it in his hands, then started voicing his questions and observations about it. Ultimately he decided to see if it would still ‘stick to the tree’. As you can see above it does! I loved just standing by listening to his observations and questions. He wasn’t really talking to me, so I kept quiet for the most part. I love it when some learning comes as a result of hands-on-investigating! I don’t know how it is at your house, but sometimes clean up time can be such a challenge! I tried something different recently and just let Sweet Pea put things away how he thought it should be done. I know, I know, I was totally asking for trouble. The thing is, he did it! It wasn’t how I would have done it. But it was done! It took a bit longer than clean up time should take, but it got done. The floor was bare. The toys were all away. I had nothing to complain about, except that pile of laundry in the background that was my responsibility! Sometimes I take too much control over the outcome of clean up time, or maybe I just try too hard to make my desired result happen and things just end up with everyone upset and tempers short because the kiddos aren’t doing it ‘right’. I admit this scenario happens way more often in our house than I’d care to admit to just anyone…. How does clean up time go in your house? I remember the mention of neighbors playing outside with their kids out in front of their homes and slowly other neighbors would come around and after a while evenings just became social gatherings or parties. A sense of community arose as a result of families being accessible to others, not secluded in their back yards, even if seclusion wasn’t the intention. I found it very interesting that my sister in law brought this very thing up at our recent play date, er, well, I mean our kids’ play date, while we were chatting. L. told me that when she and her husband first had kids there were several families in the neighborhood with young children and everyone seemed to gather ‘out front’ and chat at night while the kids played together. Slowly homes sold and the ‘feel’ of the neighborhood changed. L. said when new families moved in children began playing in their backyards more often and there seems to be little sense of community now. My niece and nephew still play out front, but neighbors have talked to her about the volume her children play at, which isn’t any louder than other kids playing in their back yards. 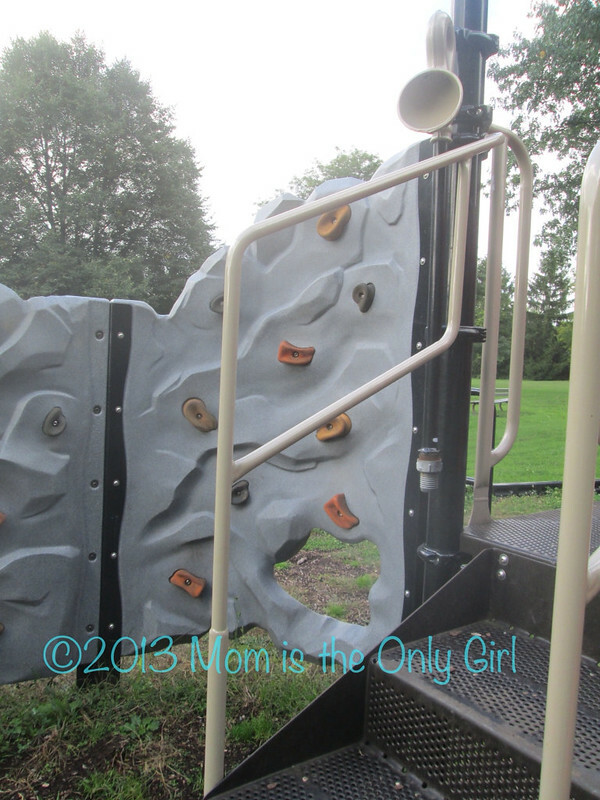 We play in both the front and the back, depending on what our kiddos want to do at the time. I think for us the communication between neighbors has more to do with the stage of life our neighbors are in. The communication is different, with simple hellos exchanged in the front yard between our family and singles or couples (with grown children who are no longer living at home) walking their dogs and meaningful conversations with immediate neighbors (who can watch the children play in our yard from their windows) in the backyard. So I guess I’m not sure if I’m a front yard or backyard-er. Maybe a little of both? Playing outside, in back or front, with my family has definitely made me feel I belong in this community, though. 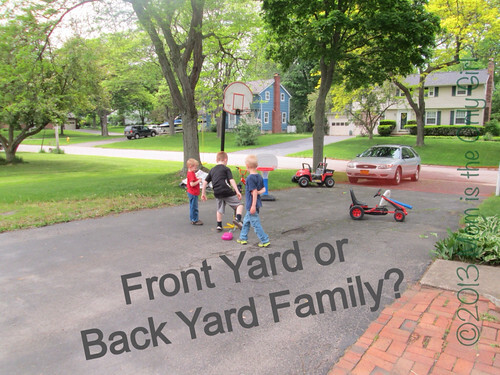 Are you a front yard or back yard family and do you think this relates to the sense of community in your neighborhood?